All natural sausage, uncured pepperoni, white cheddar cheese and organic mozzarella cheese on a thick rising crust. 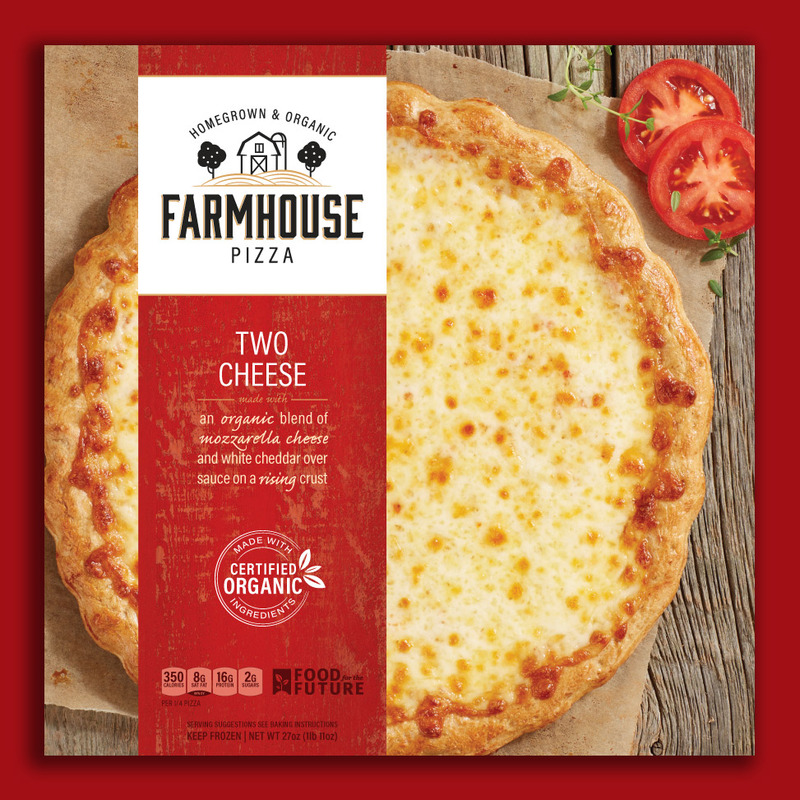 Creamy burrata cheese and diced tomatoes over white cheddar cheese and organic mozzarella cheese on a thick rising crust. All natural sausage and a blend of organic mozzarella and cheddar on a thick rising crust. All natural, uncured pepperoni over our two cheese blend and thick rising crust. All natural chicken and organic pesto sauce over a two cheese blend on a thick rising crust. An organic blend of mozzarella cheese and white cheddar cheese over sauce on a rising crust.